Have you wondered about LASIK eye surgery but just couldn’t imagine why some would choose to have the procedure? Medically referred to as Laser-Assisted In Situ Keromileusis, LASIK is a surgical procedure using laser energy to reshape the cornea for better eyesight and vision correction. 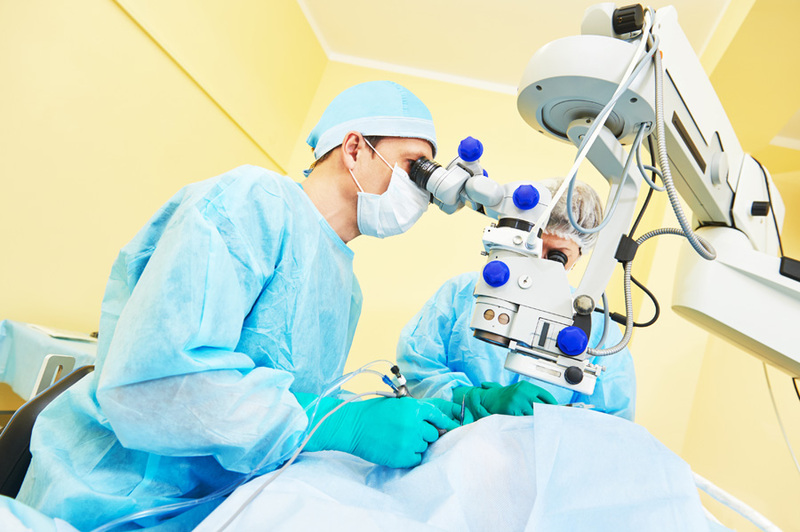 It is an outpatient refractive surgery procedure which is pain-free. The surgery can be completed within 15 minutes for both eyes with improved vision in as little as 24 hours. If you’re stuck behind glasses or contacts, imagine what it would be like to wake up each morning and see clearly throughout the day – no matter what activities or hobbies you are enjoying. Imagine your life without the frustration! Your new vision after LASIK Surgery will allow you to focus on the more important things in your life. LASIK Surgery from The Excel Laser Vision Institute uses a laser to reshape the cornea — the clear, round dome at the front of the eye. Its primary purpose is to improve the way the eye focuses light rays onto the retina at the back of the eye. It can treat ophthalmic cases of nearsightedness, farsightedness, and astigmatism. Many people with troubled vision can typically see when objects are right in front of their eyes, but as objects get further and further away they may appear blurred or distorted. This is described as being nearsighted. Farsighted people usually don’t have trouble seeing objects at a distance. The far away objects appear much clearer in their vision that objects that are close to their eyes. Today, faster lasers, larger spot areas, bladeless flap incisions, intraoperative pachymetry, and wavefront-optimized and -guided techniques have significantly improved the reliability of the procedure compared to that of 1991. When it comes to Farsightedness, every precaution needs to be exercised to make sure that the procedure will lead to a safe and healthy result. Patients should research, are encouraged to study their options, and always ask questions from the LASIK surgeon as he proceeds as carefully as possible with the patient’s operation. The Excel Laser Vision Institute team under the supervision of Dr. Moosa has been successfully performing LASIK procedures on patients with astigmatism, nearsightedness, and farsightedness for over a decade now. Dr. Moosa’s tens of thousands of LASIK procedures performed is a testament to the quality care that he and the Excel Laser Vision Institute team provides. At Excel Laser Vision Institute, we take every patient’s eye care very seriously, and that’s the reason why Dr. Moosa uses only the most up to date and advanced technology in corrective eye surgery. Please get in touch with The Excel Laser Vision Institute today by calling 1-866-923-9235. We service areas within California such as Orange County & Los Angeles. To find out more, get in touch by visiting our contact page and filling out the form. We have staff standing by to schedule you a free consultation and look forward to serving your needs.